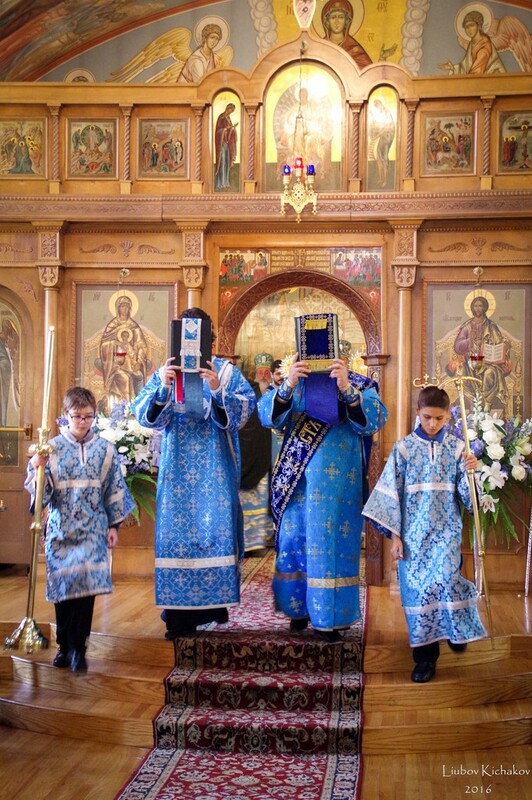 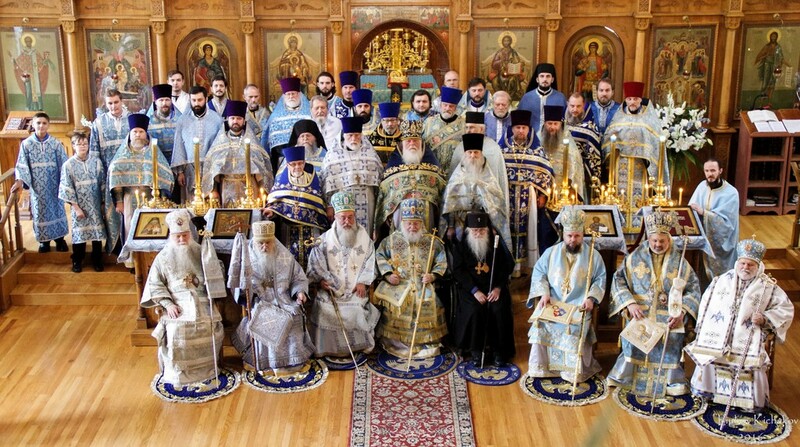 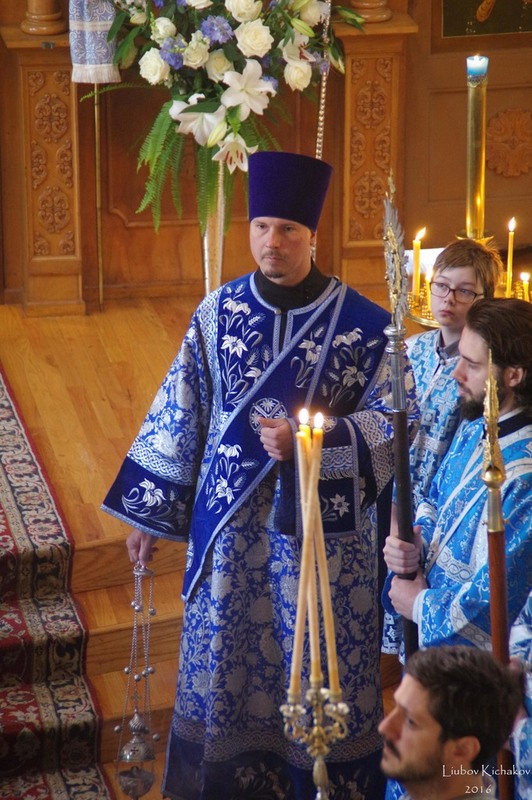 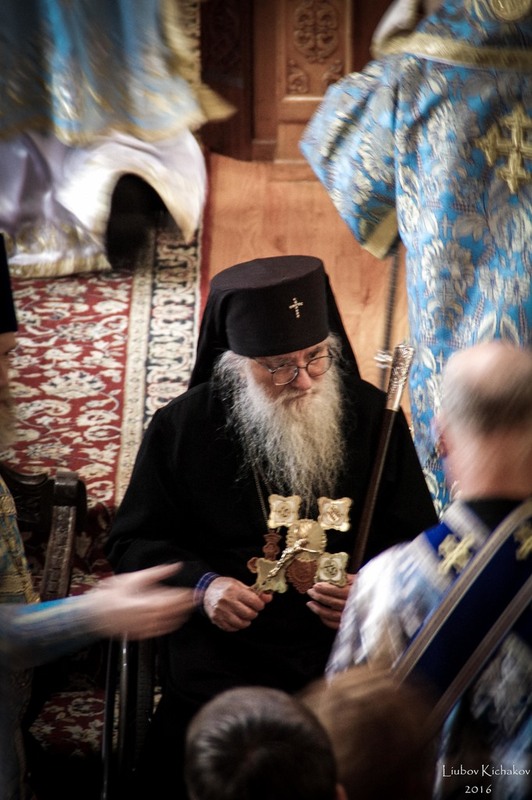 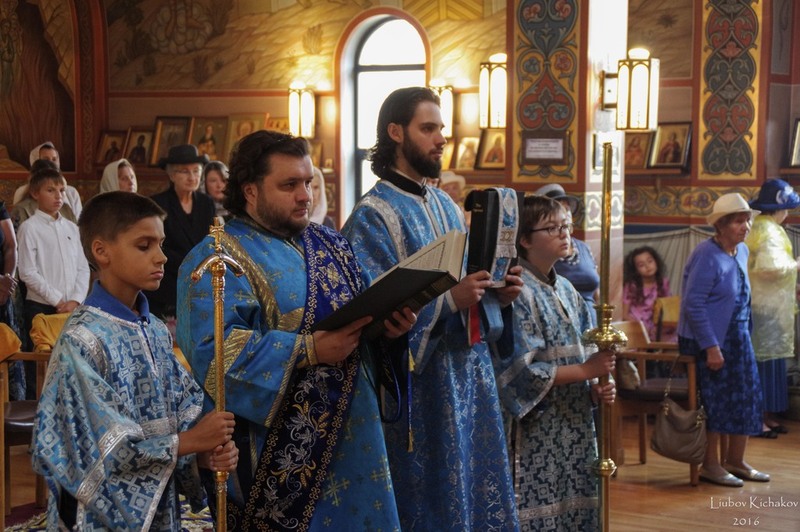 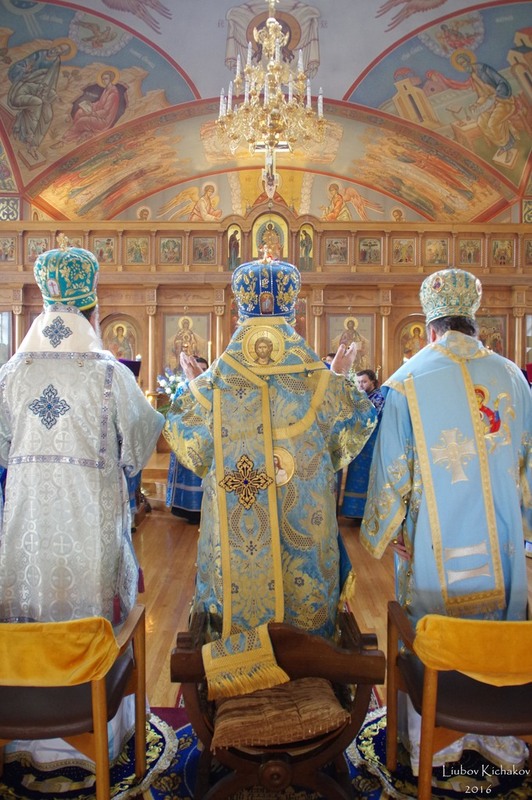 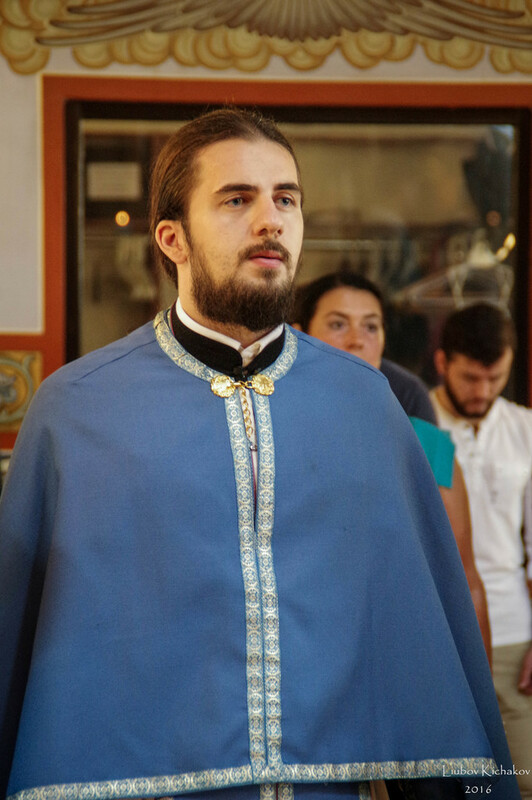 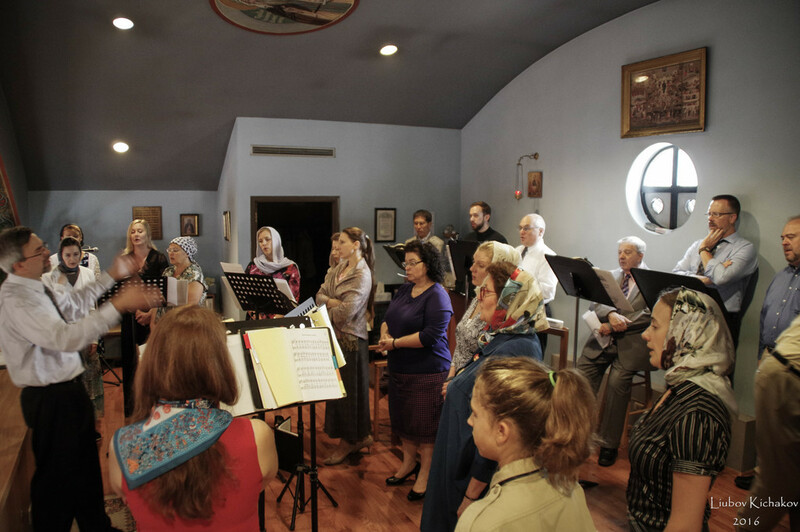 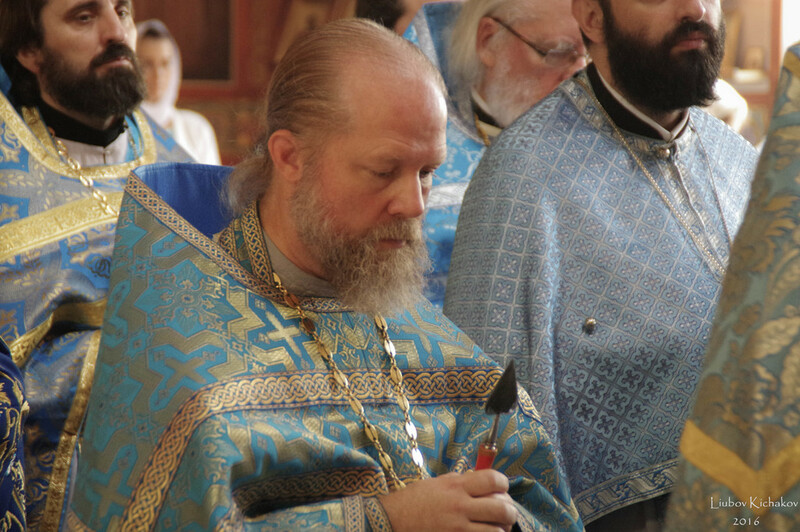 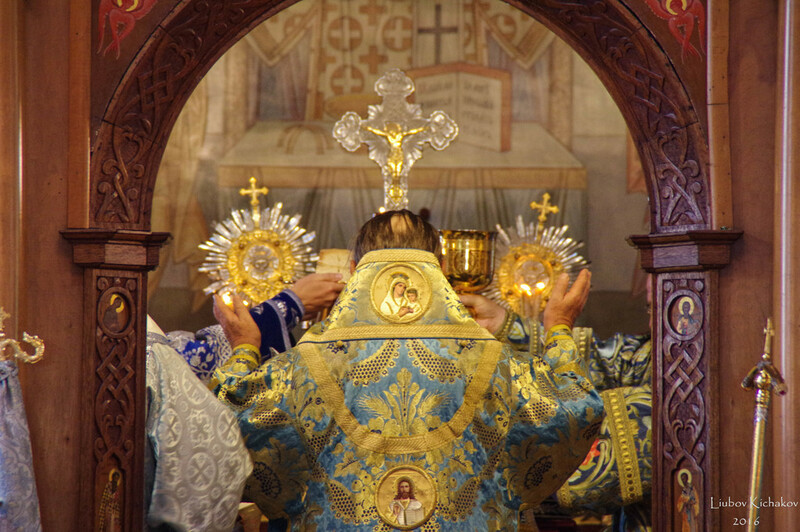 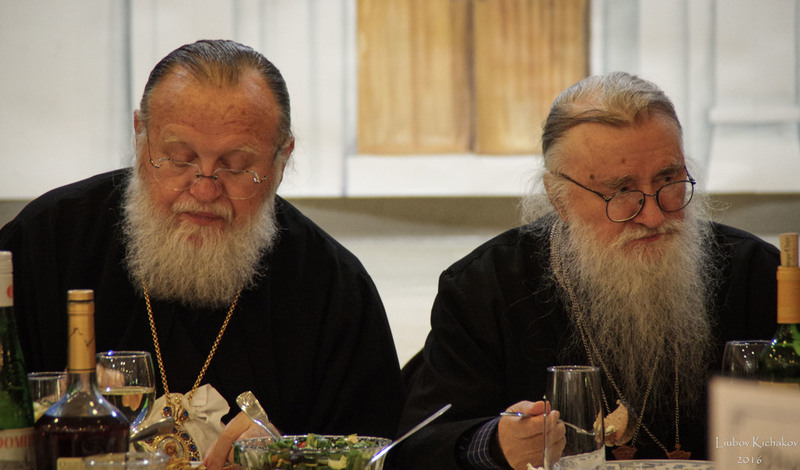 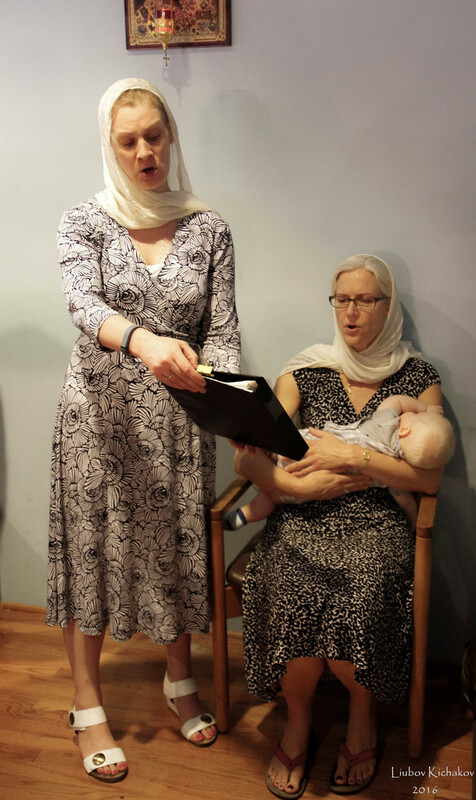 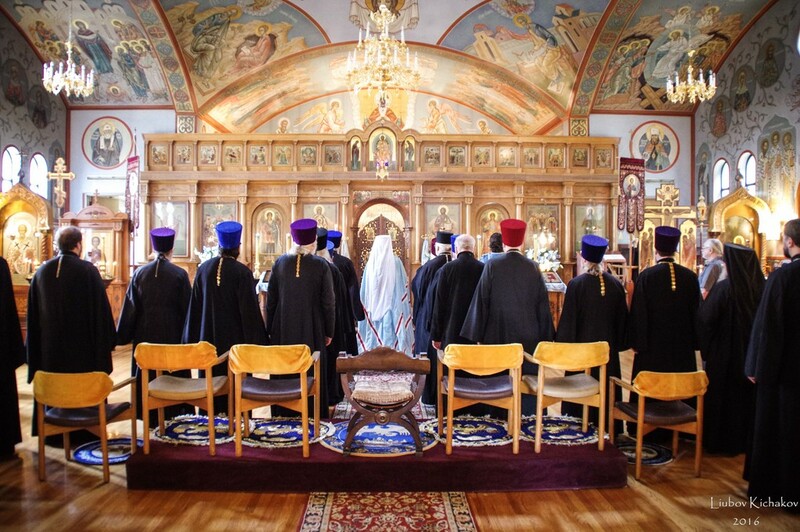 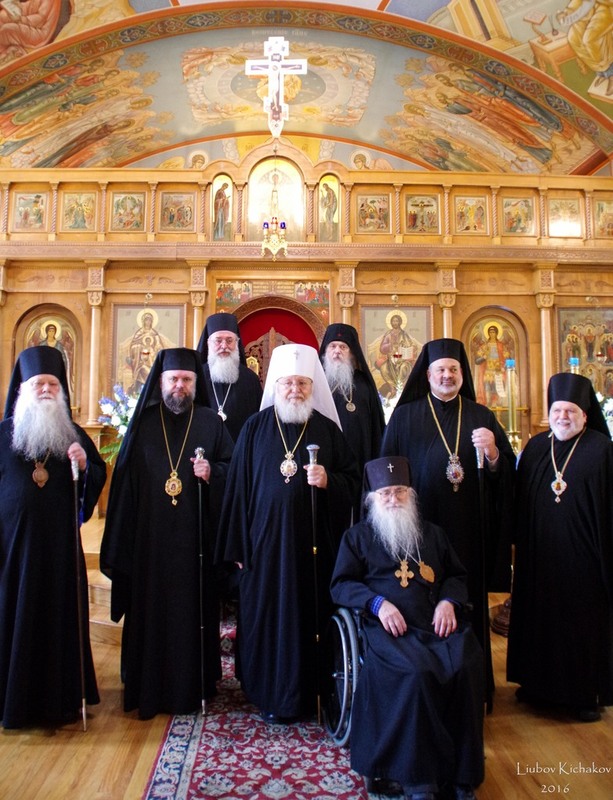 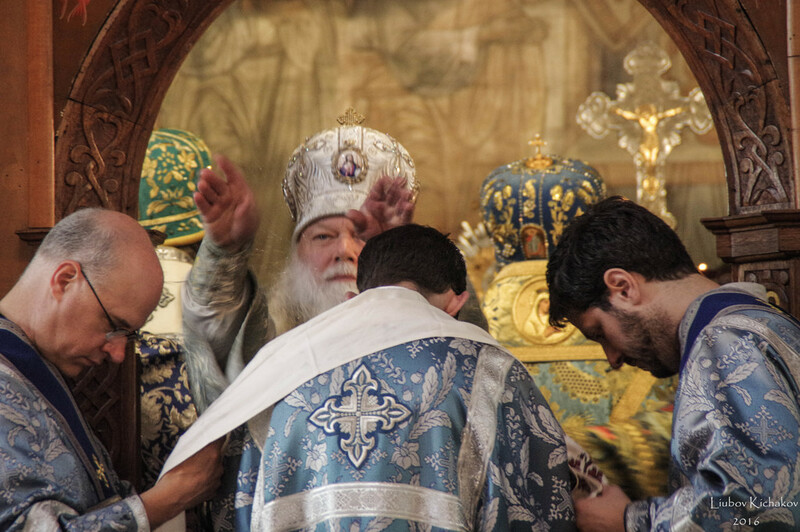 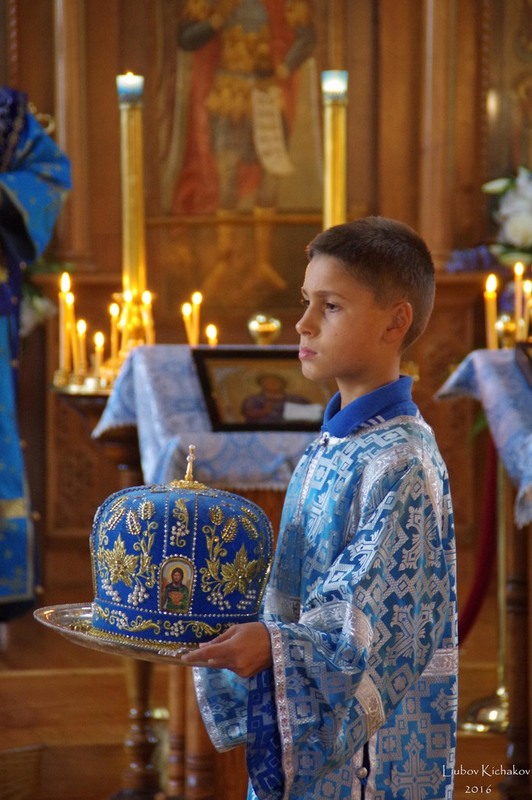 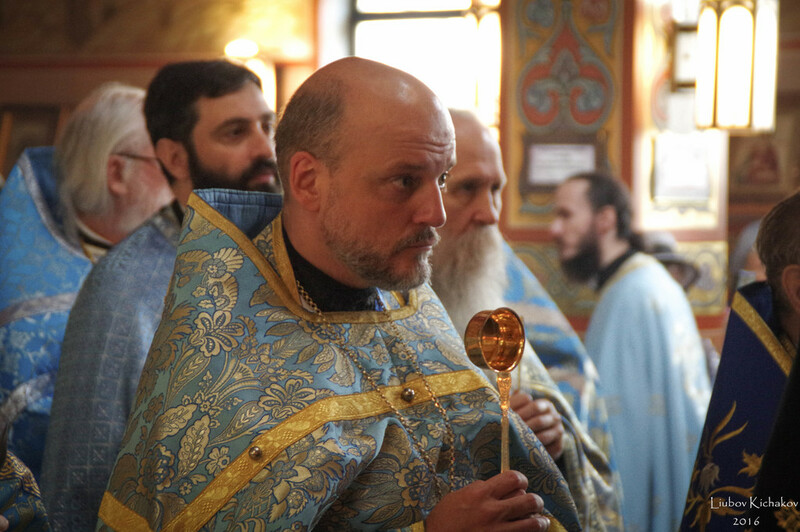 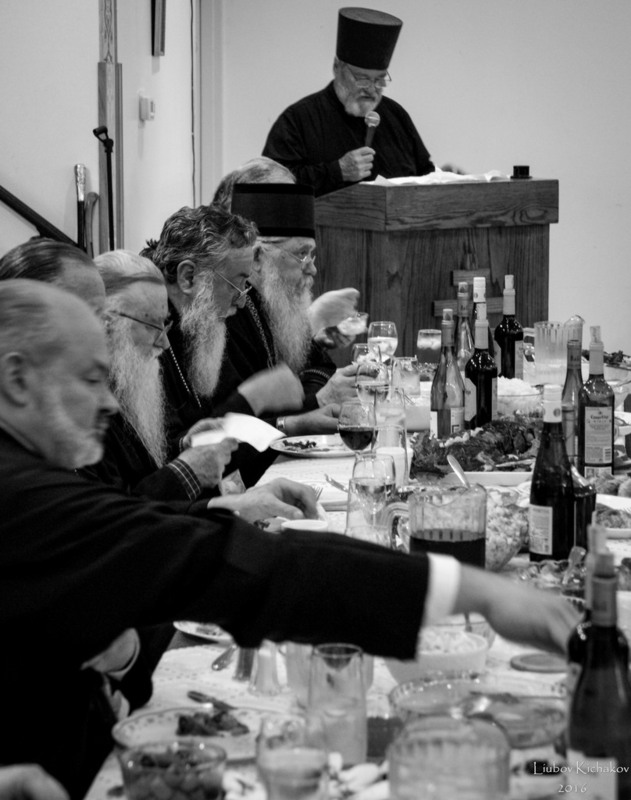 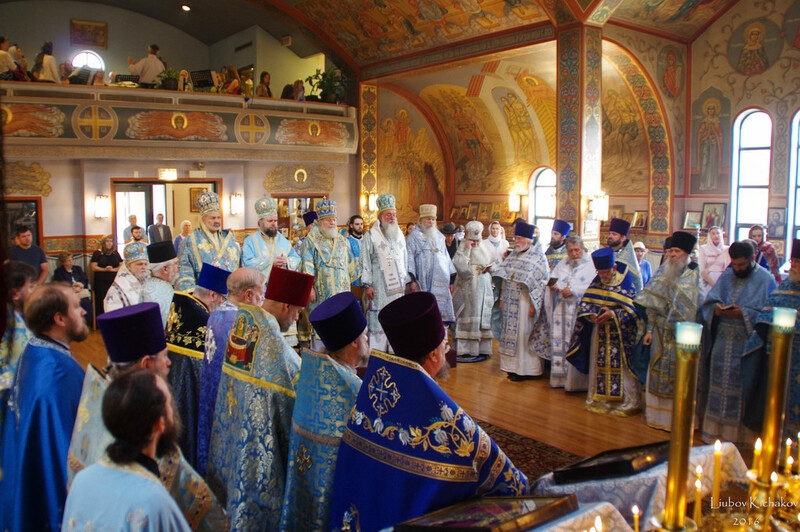 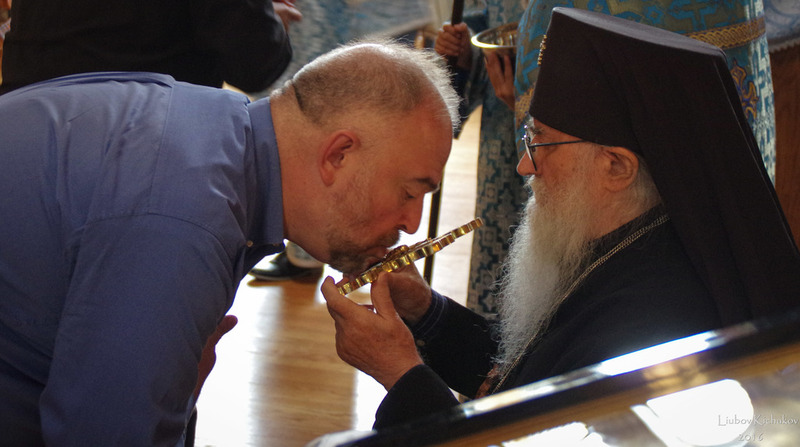 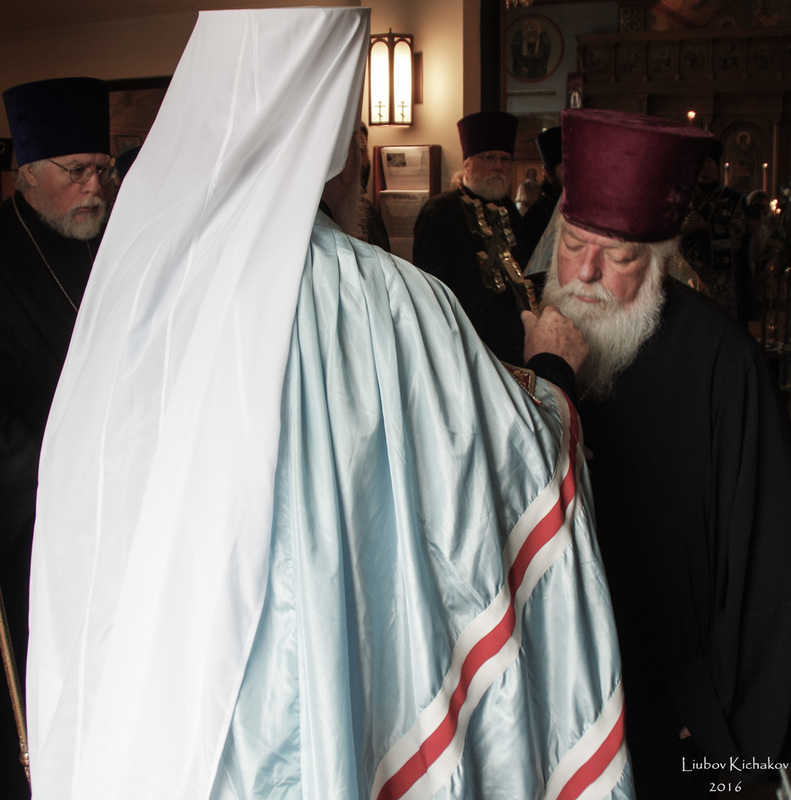 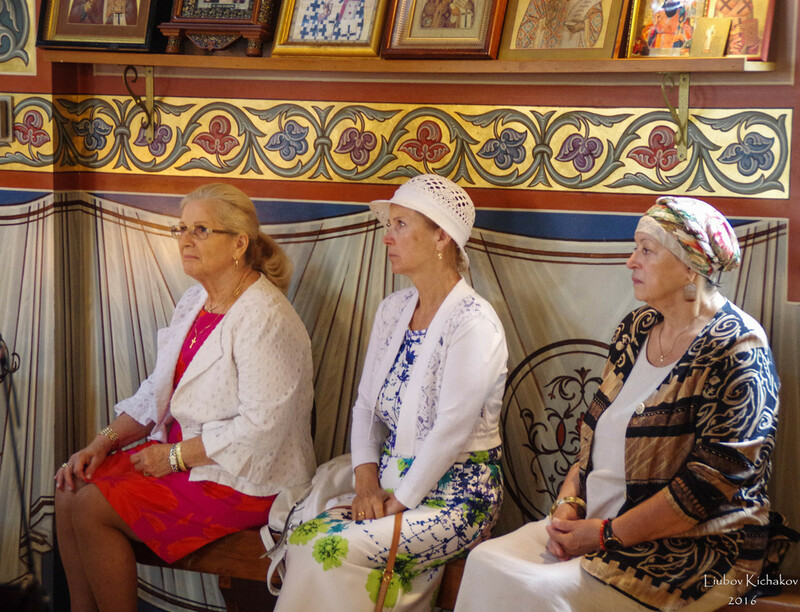 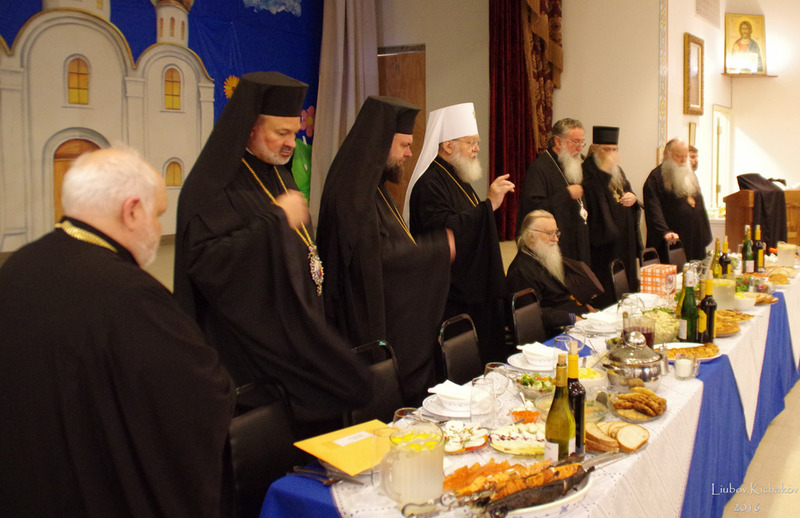 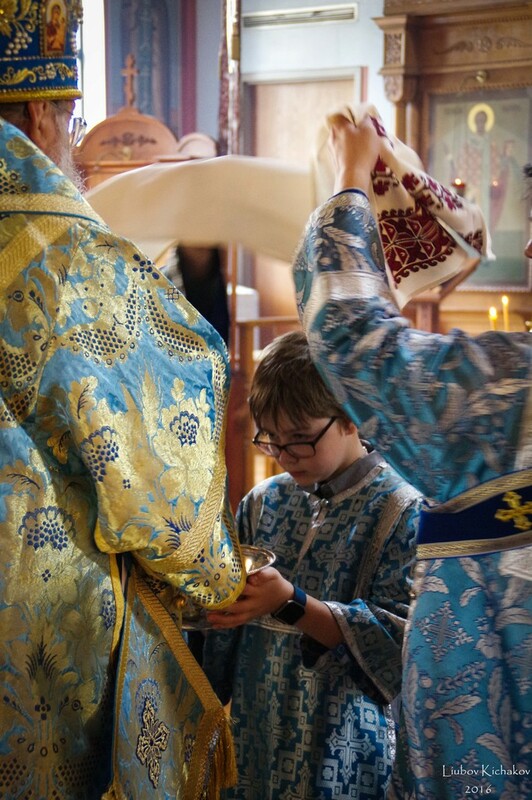 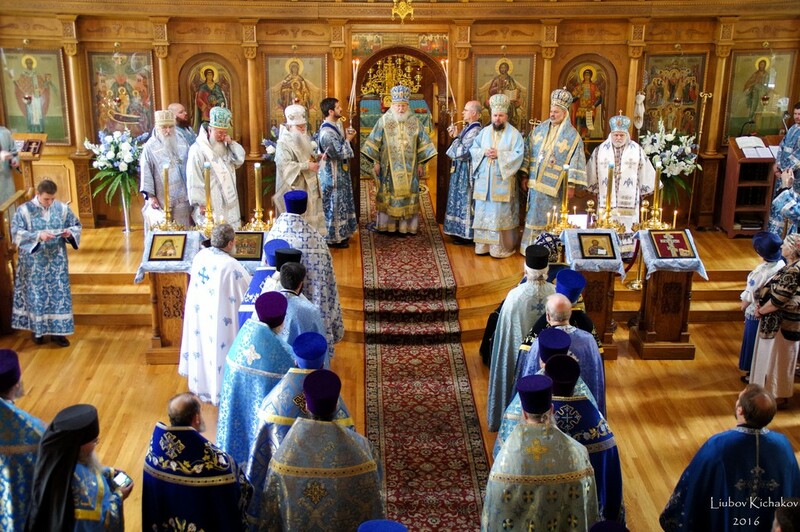 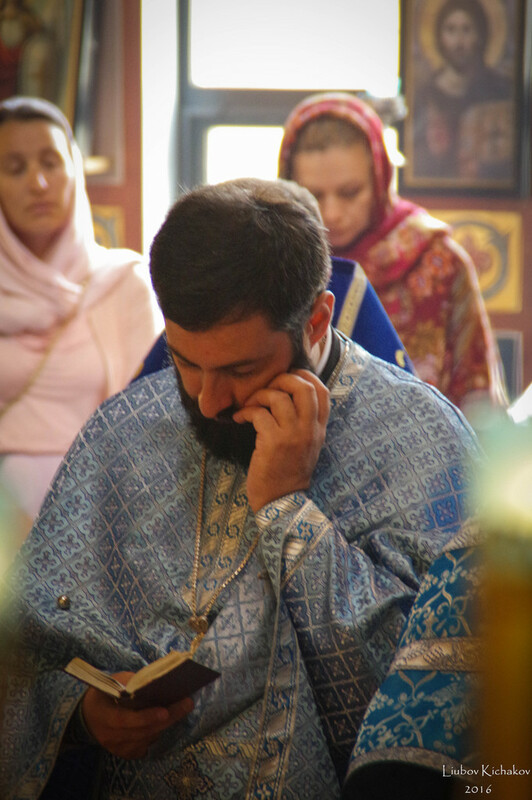 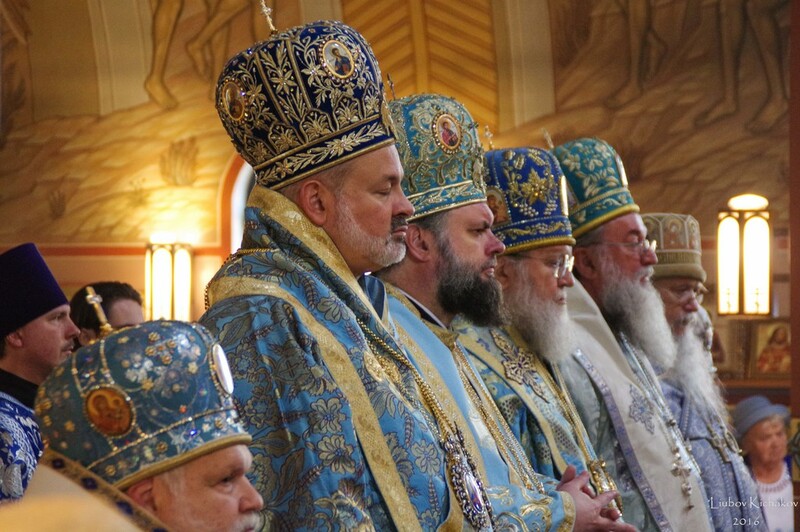 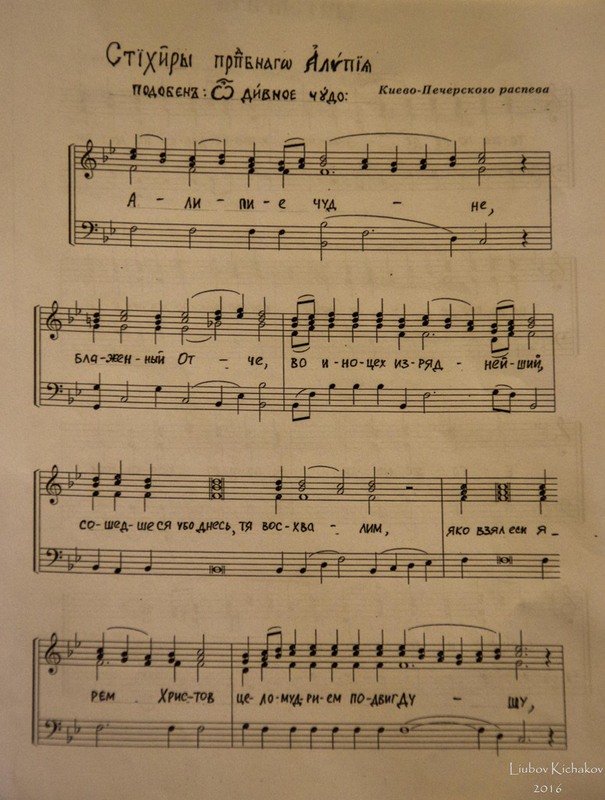 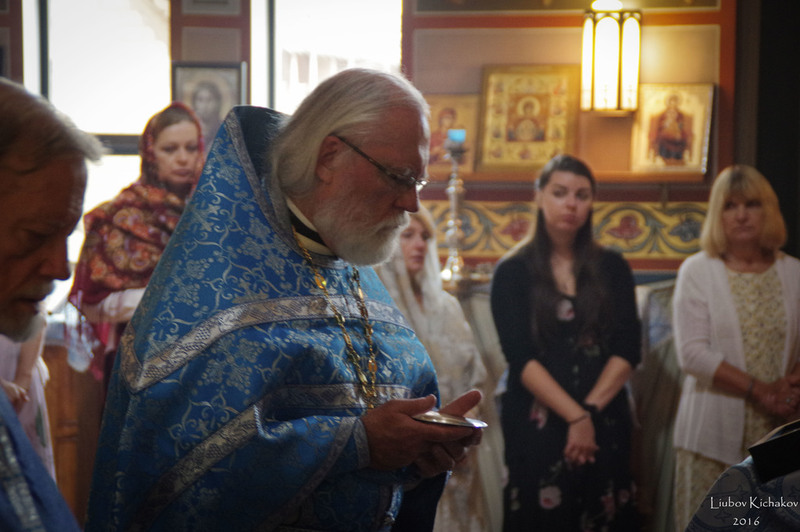 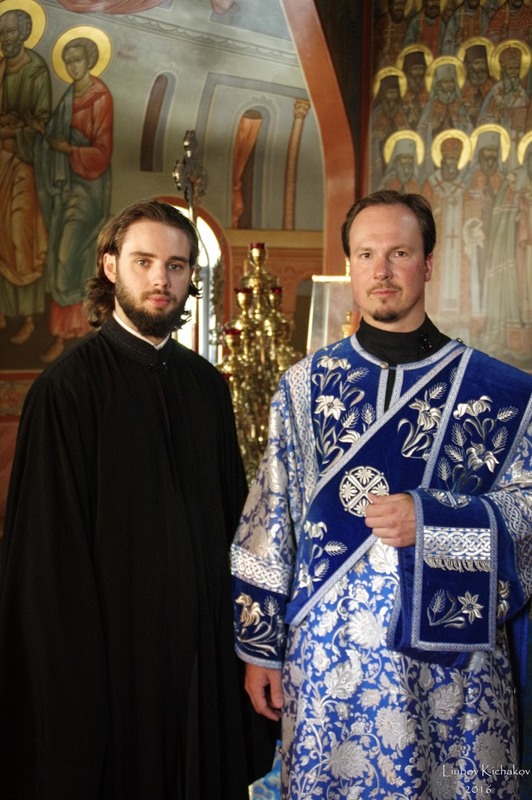 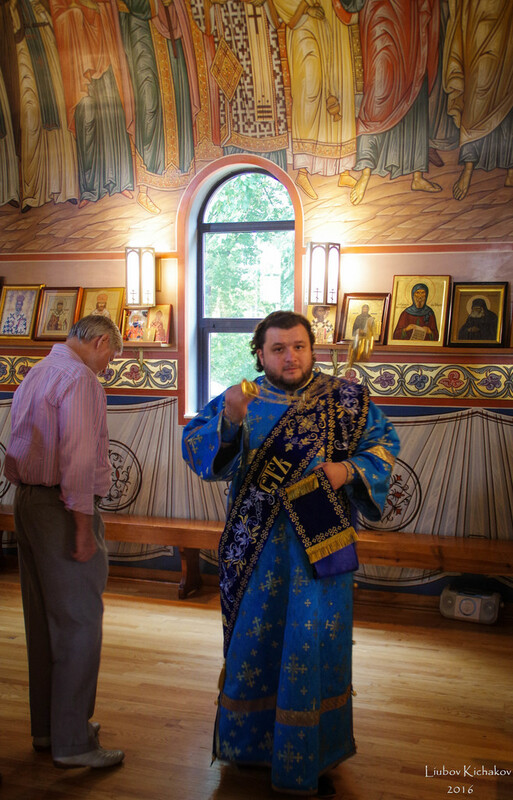 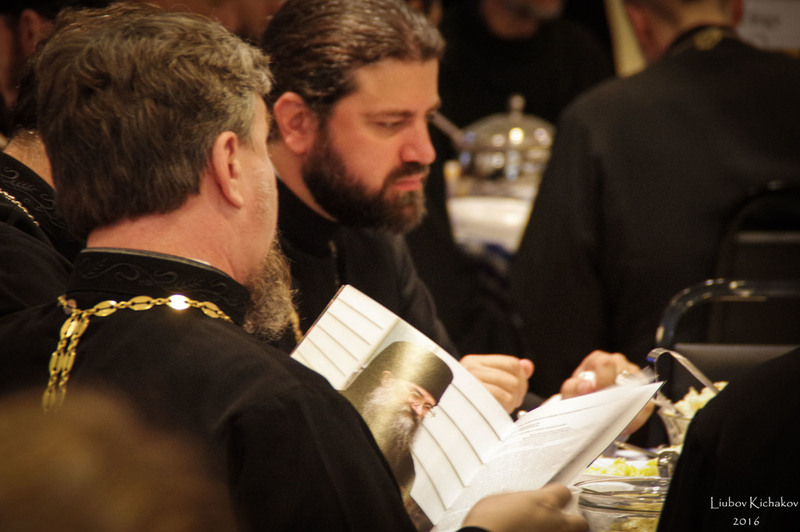 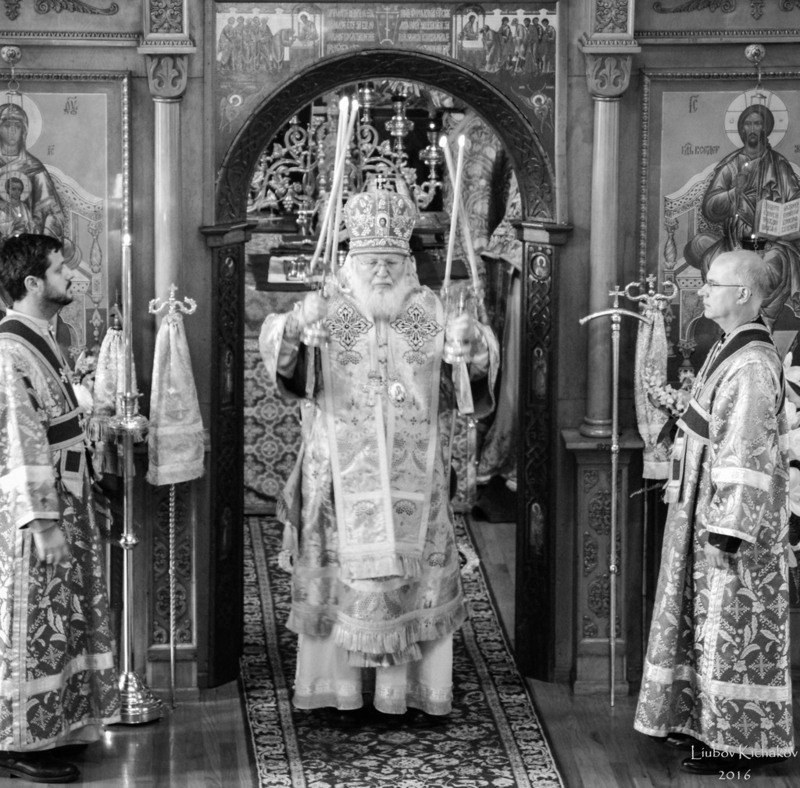 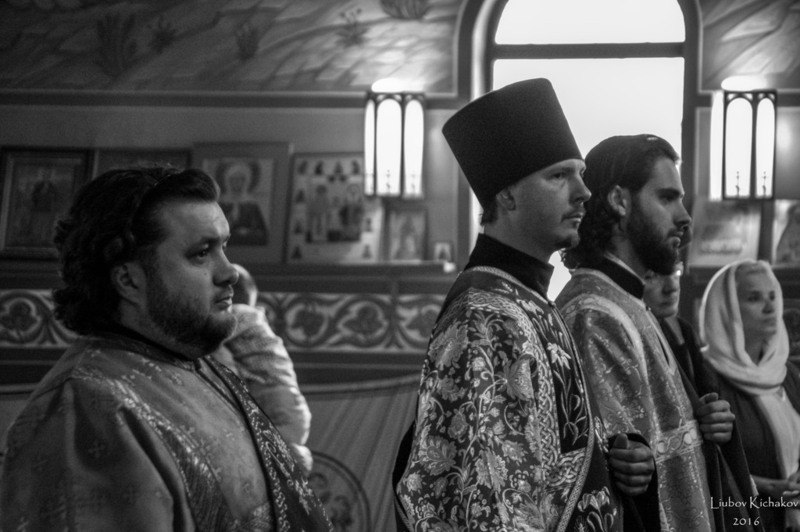 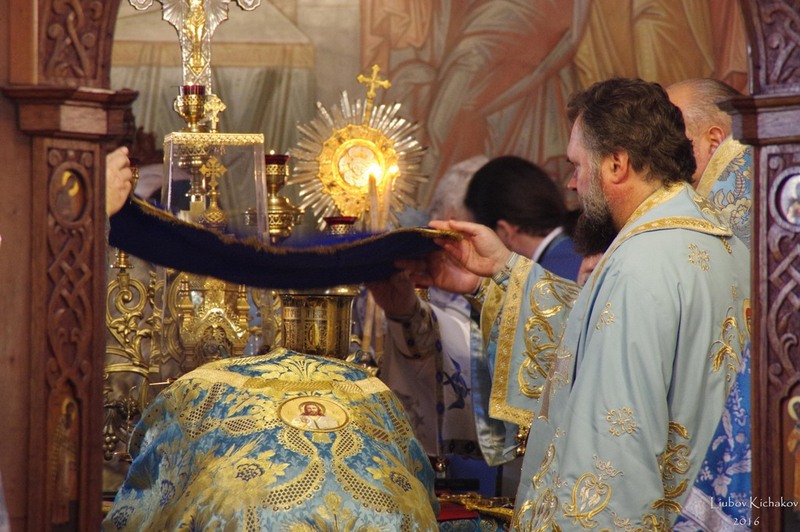 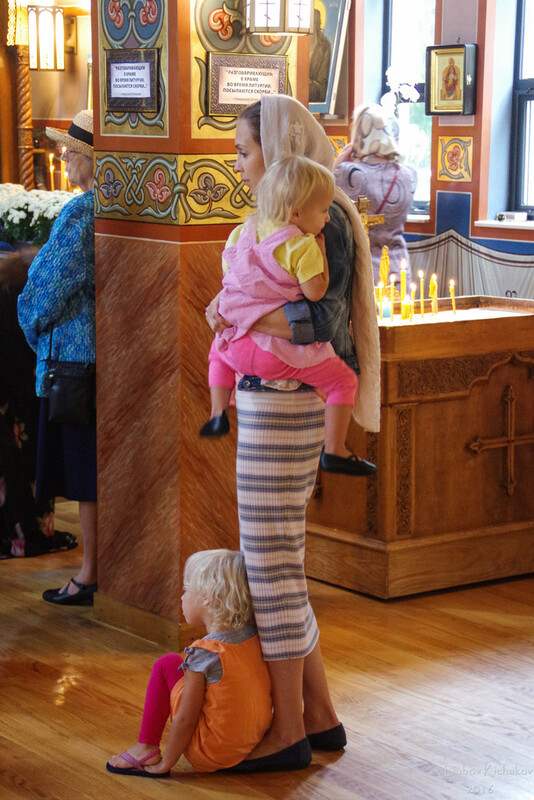 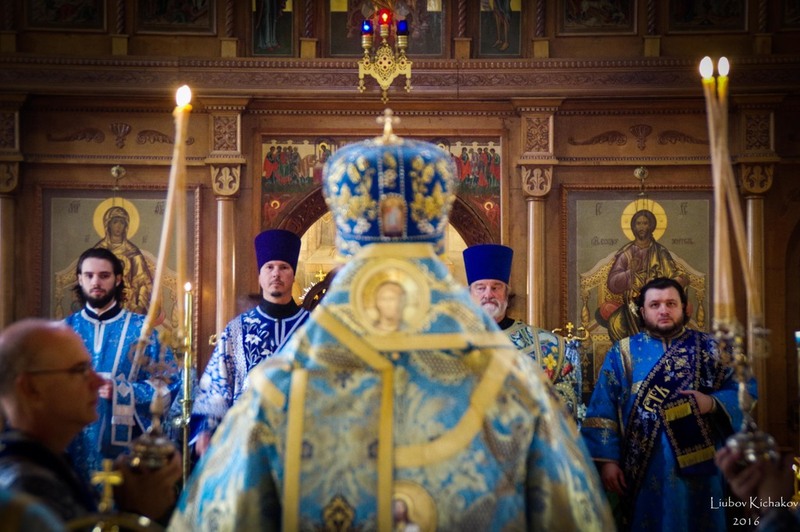 In addition to the gathered hierarchs, 24 priests and 5 deacons participate in the Divine Liturgy. 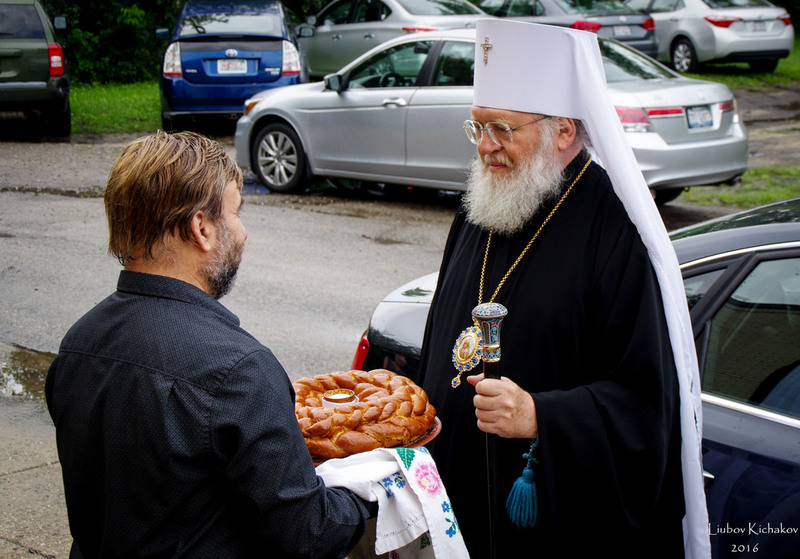 Following the Divine Liturgy a special greeting to Archbishop Alypy from His Holiness Patriarch Kyrill was read by Archbishop Peter. 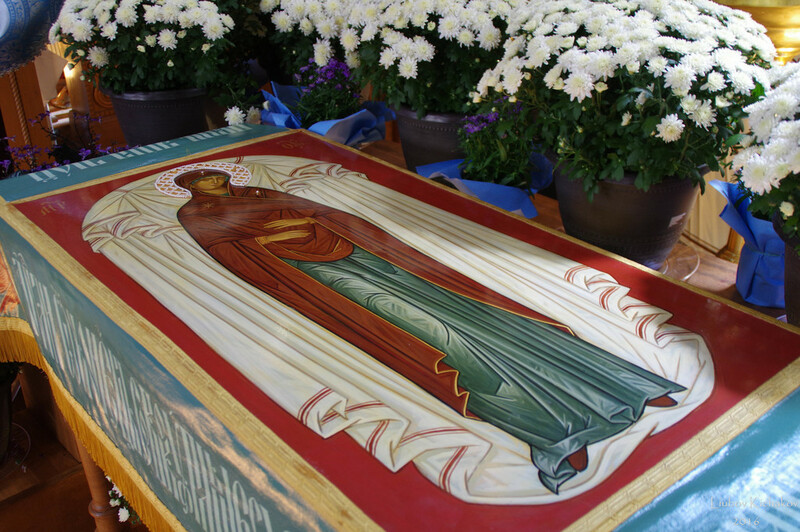 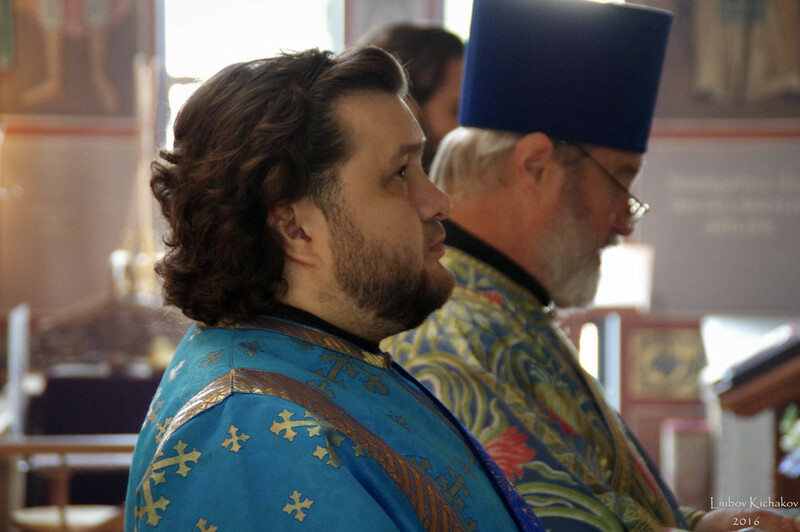 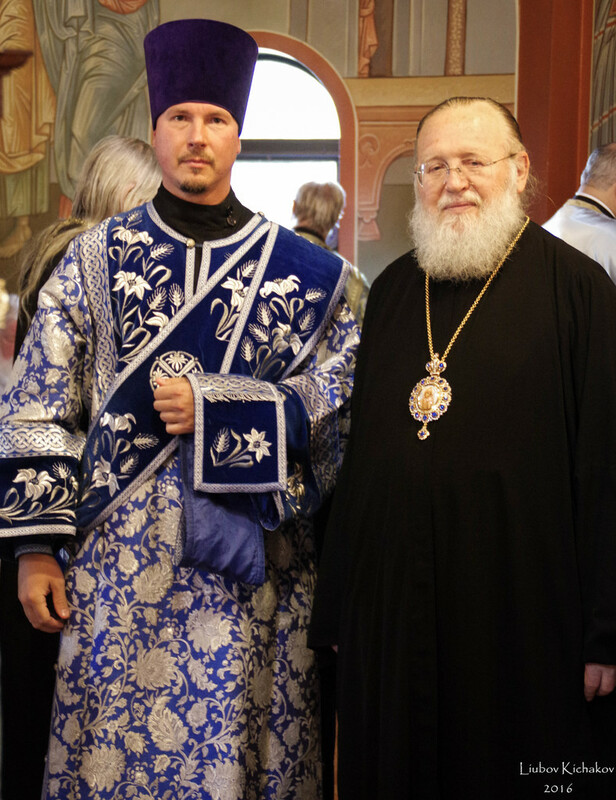 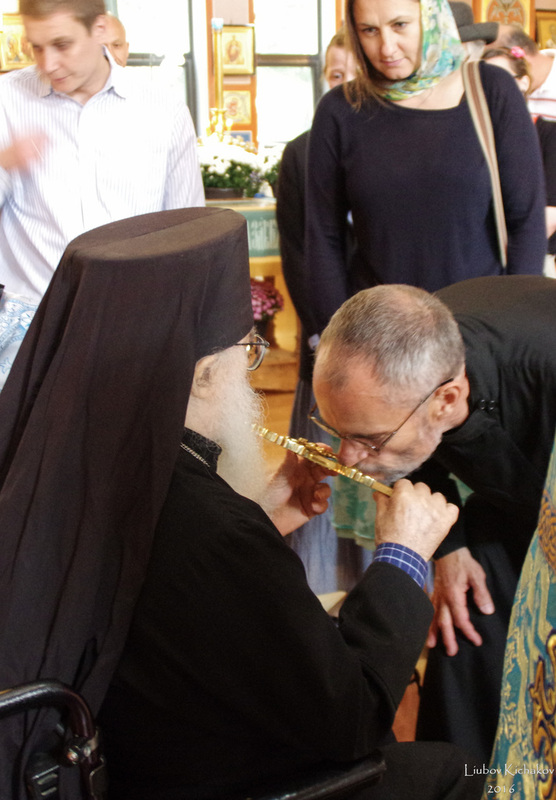 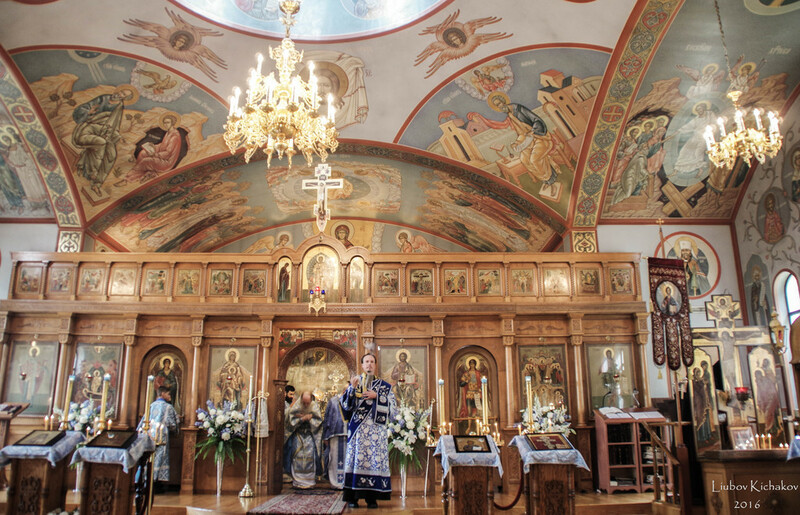 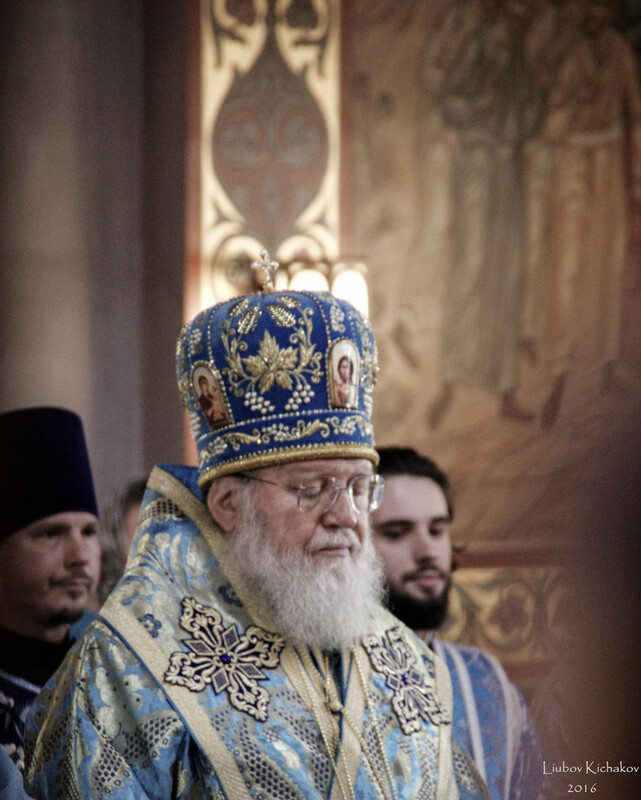 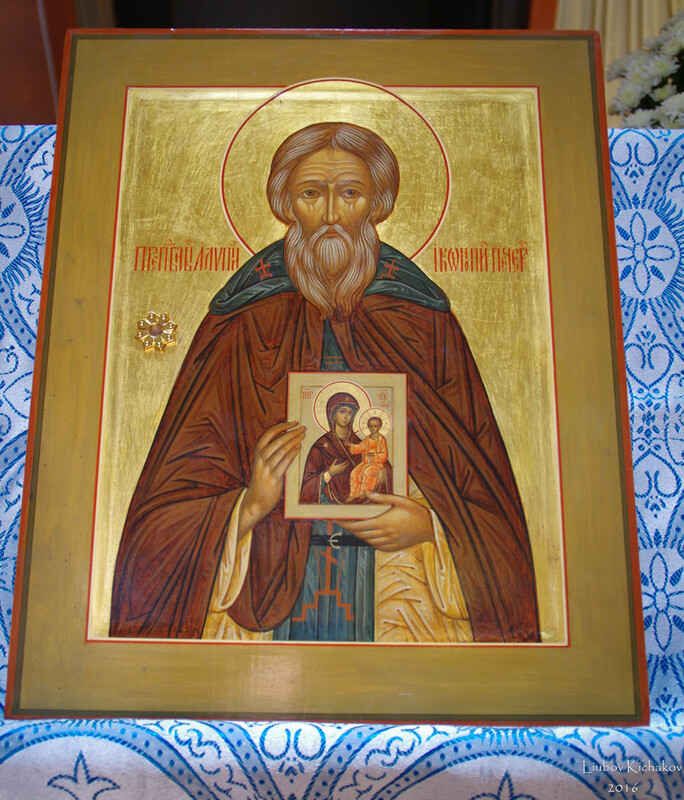 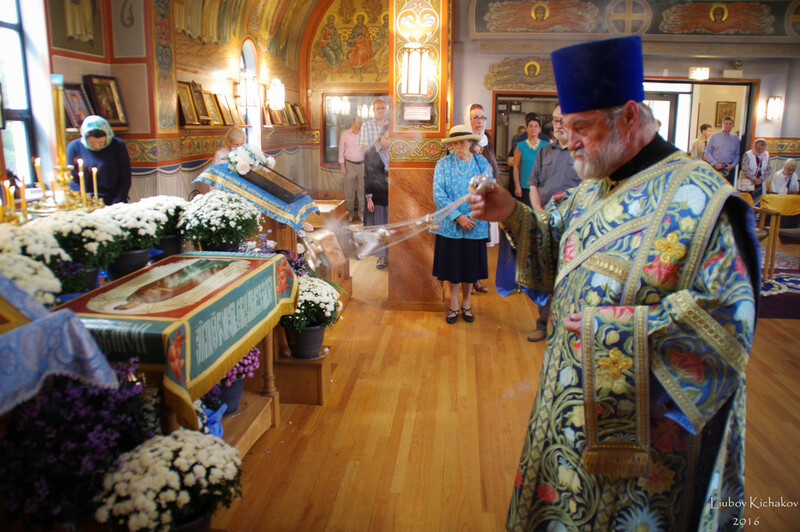 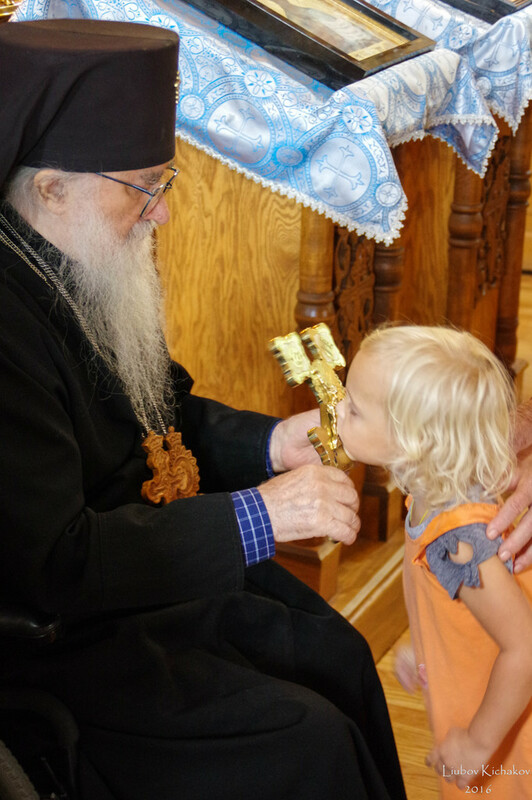 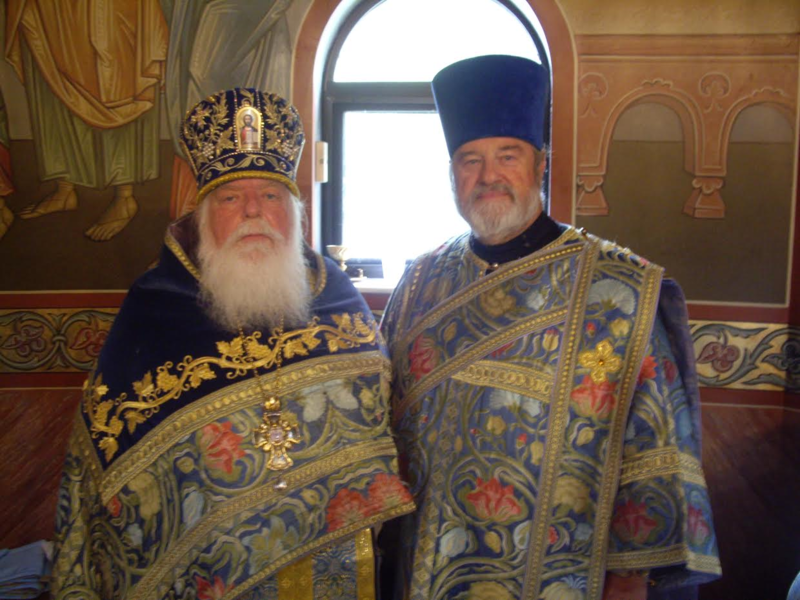 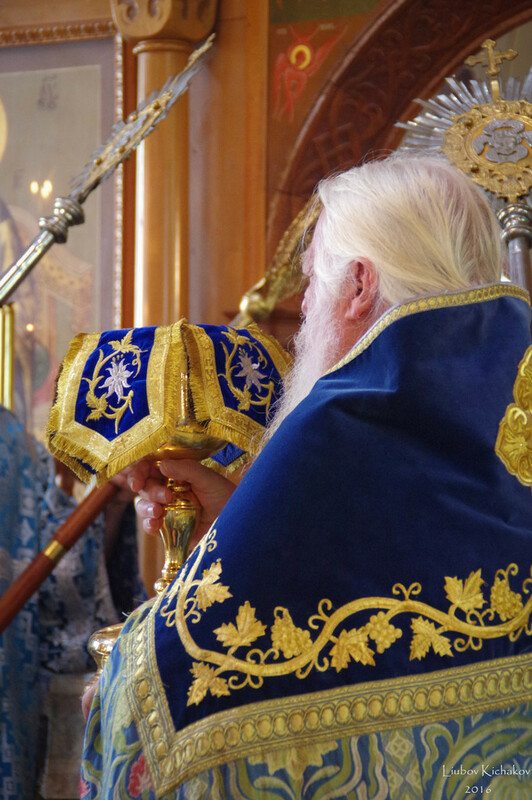 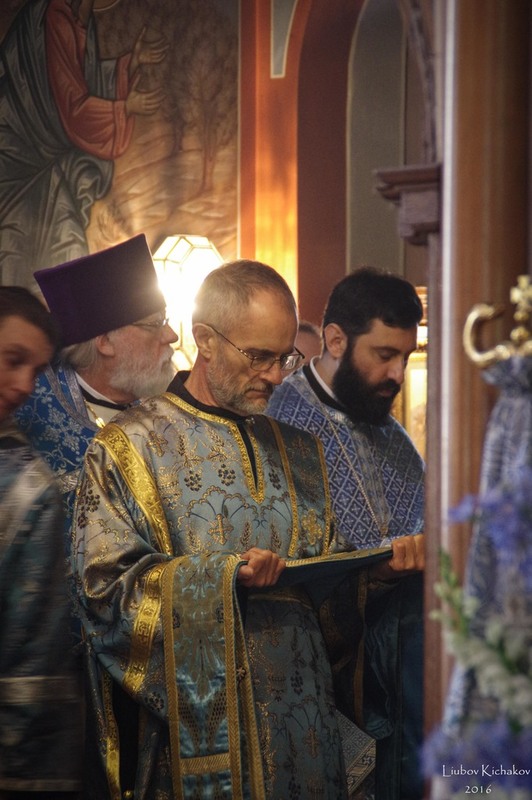 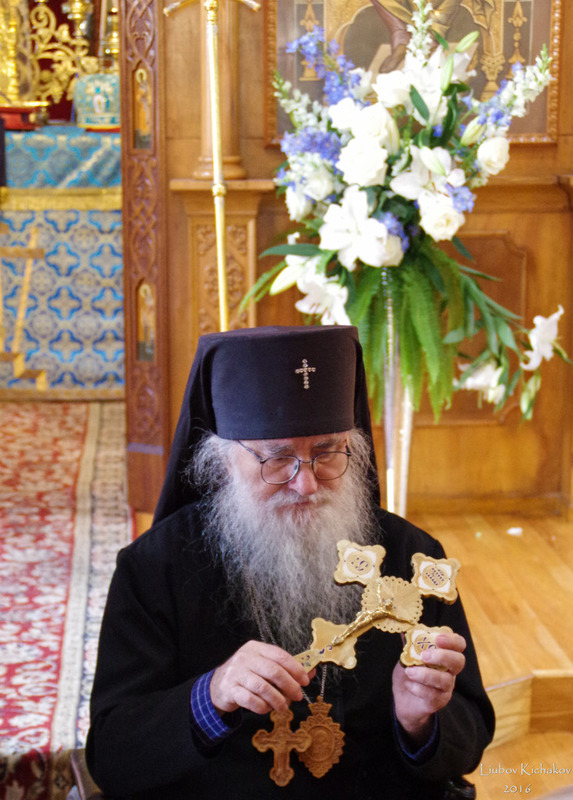 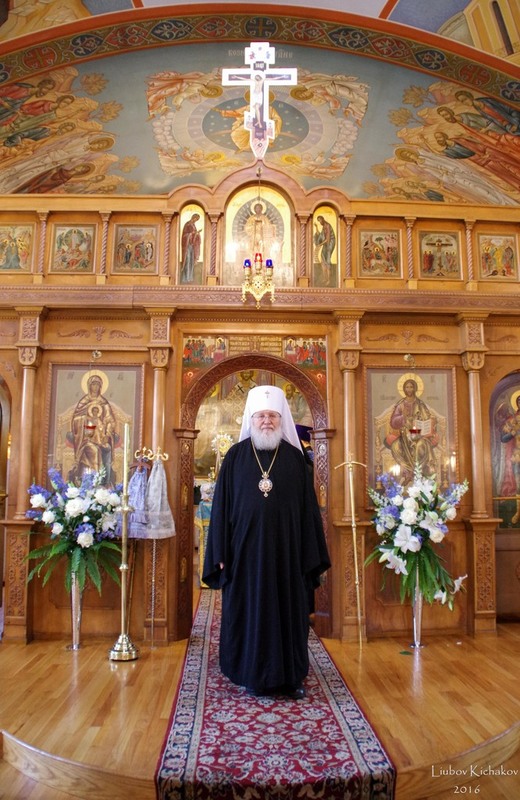 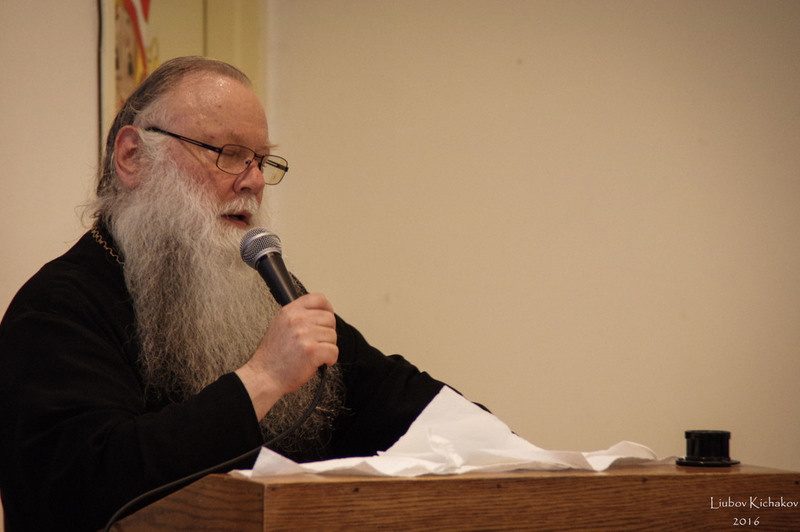 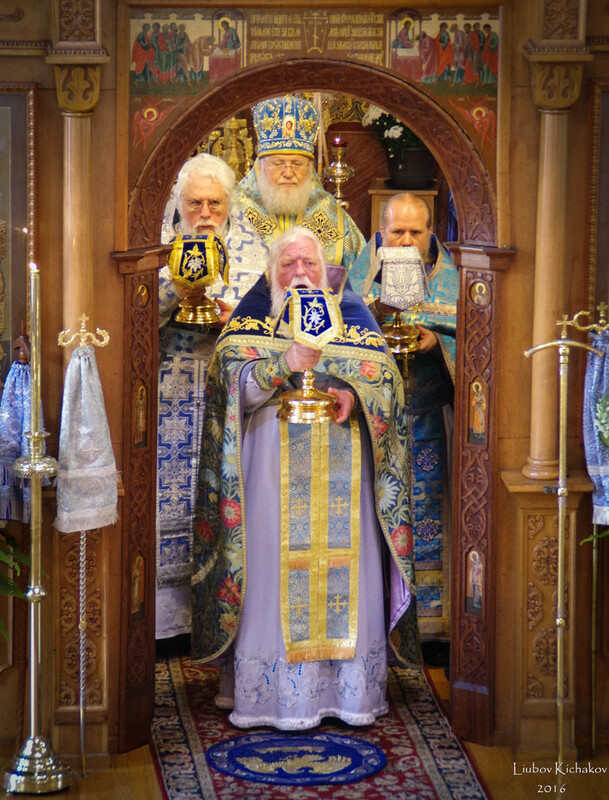 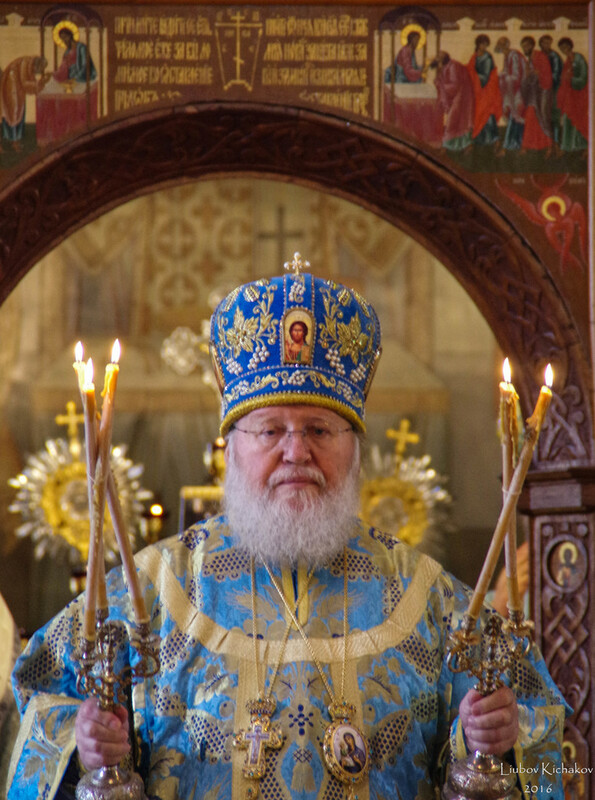 Metropolitan Hilarion then greeted Archbishop Alypy with the feast day of his heavenly patron and gave a short sermon to the gathered faithful on the life of the Venerable Alypy the Iconographer. 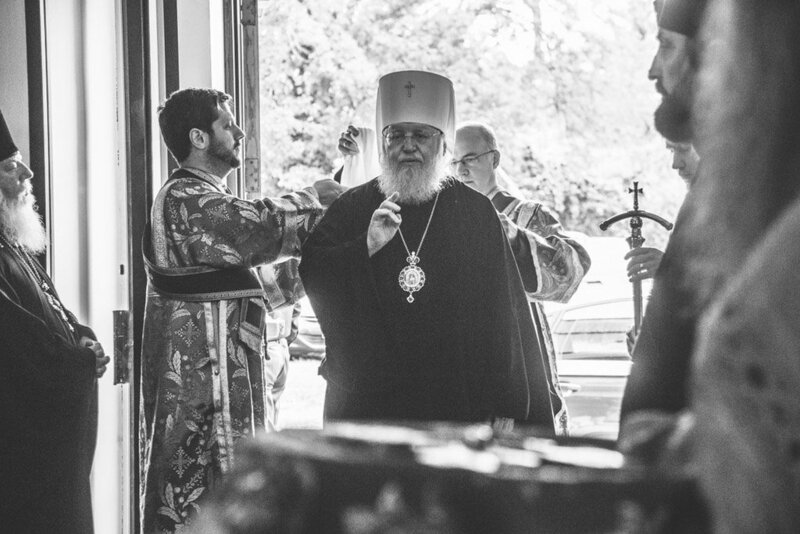 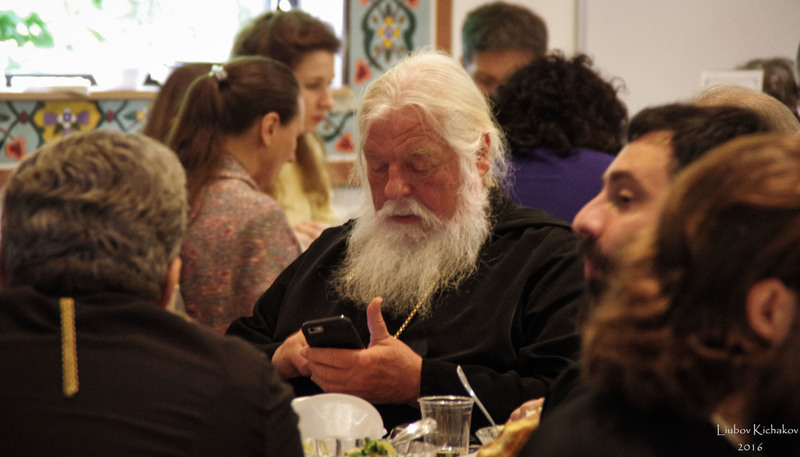 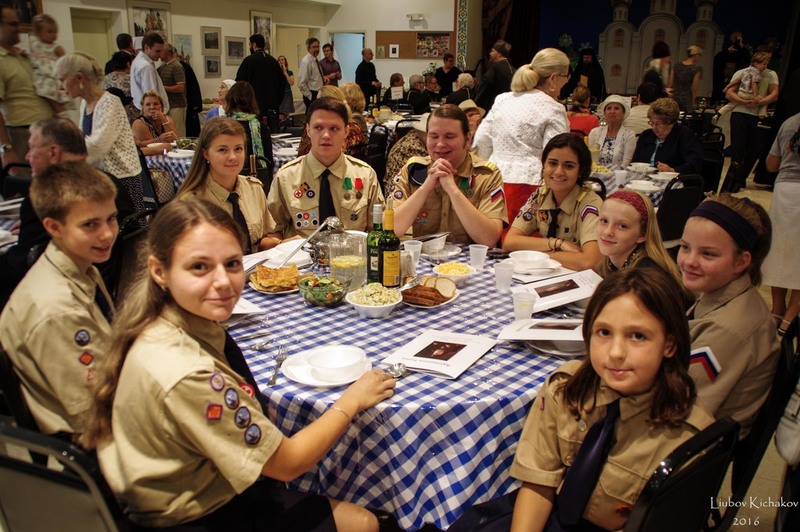 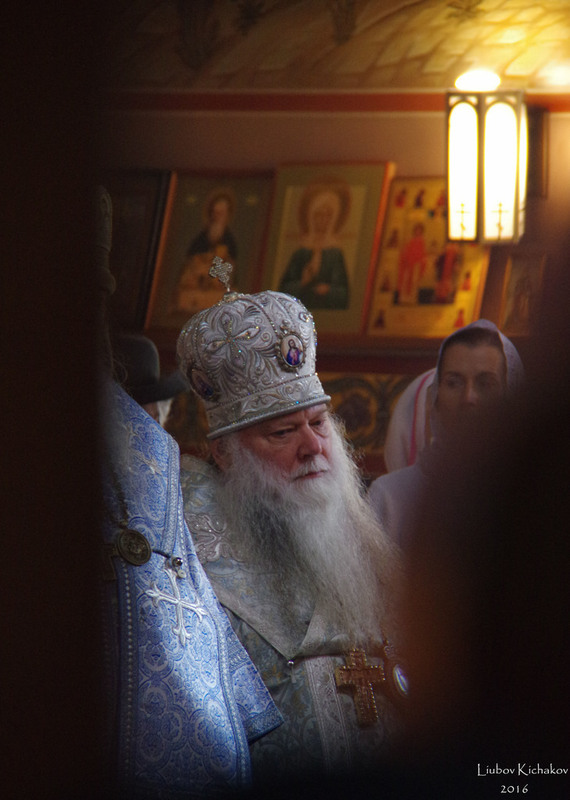 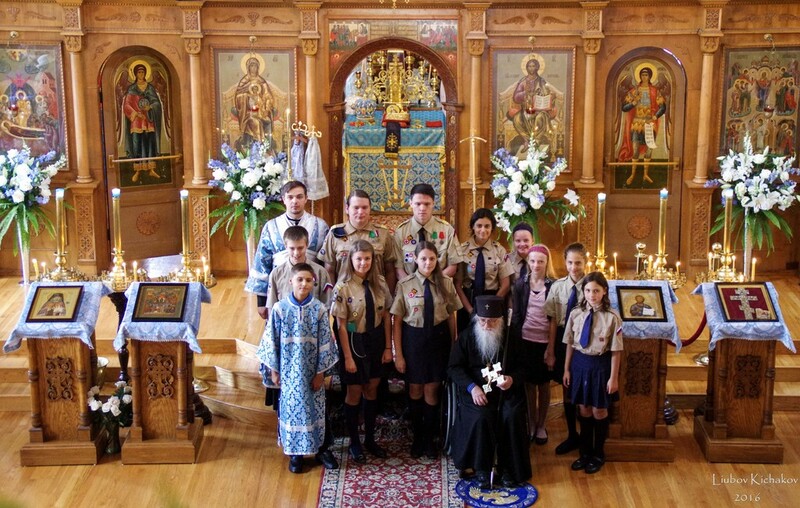 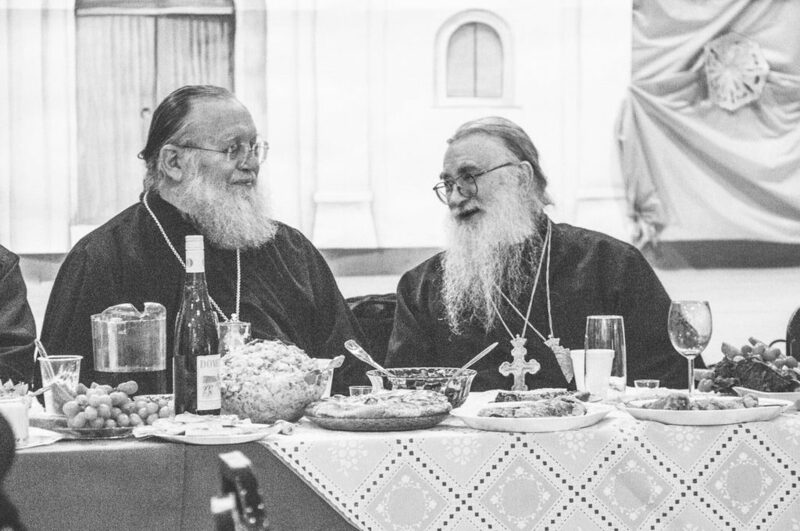 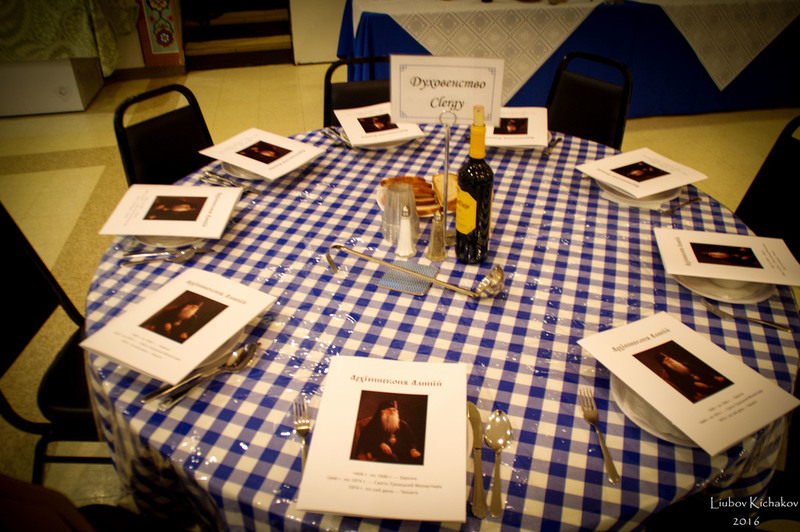 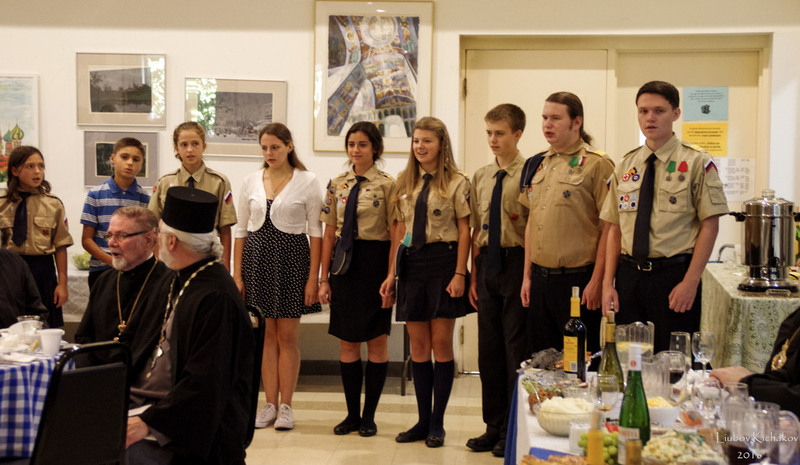 After the veneration of the cross and the reading of the thanksgiving prayers after Holy Communion, all gathered in the cathedral hall for a festive meal at which Archbishop Alypy received greeting from the gathered hierarchs and guests, as well as a group of scouts from the diocesan ORPR Youth Camp. 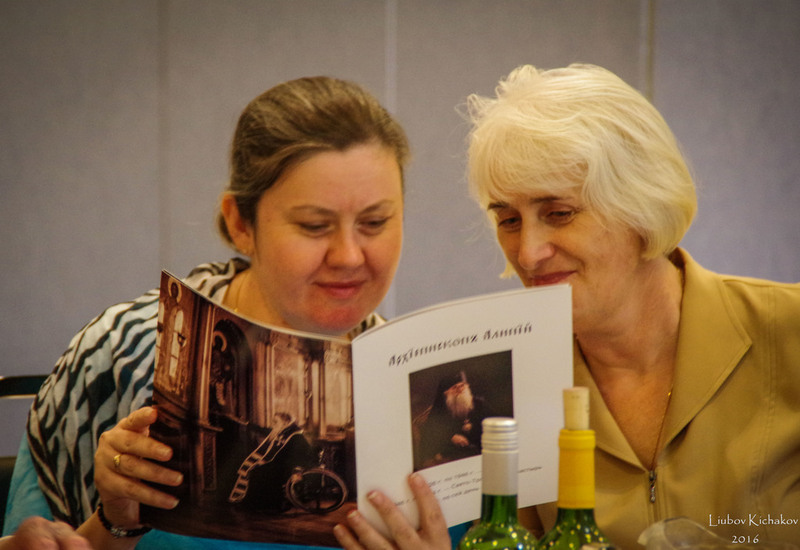 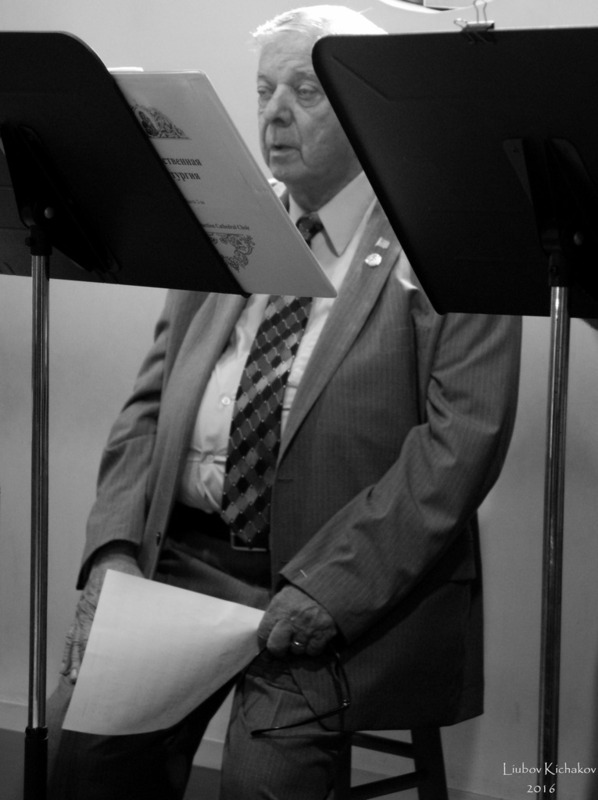 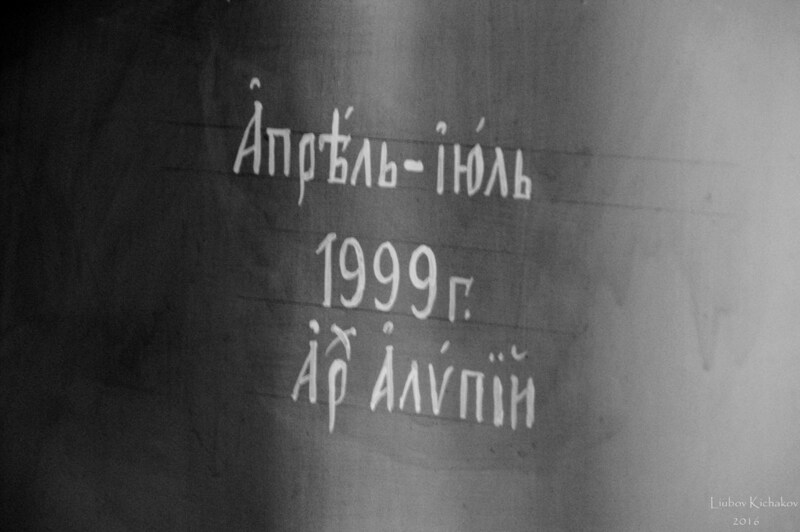 A commemorative brochure was distributed to all in attendance. 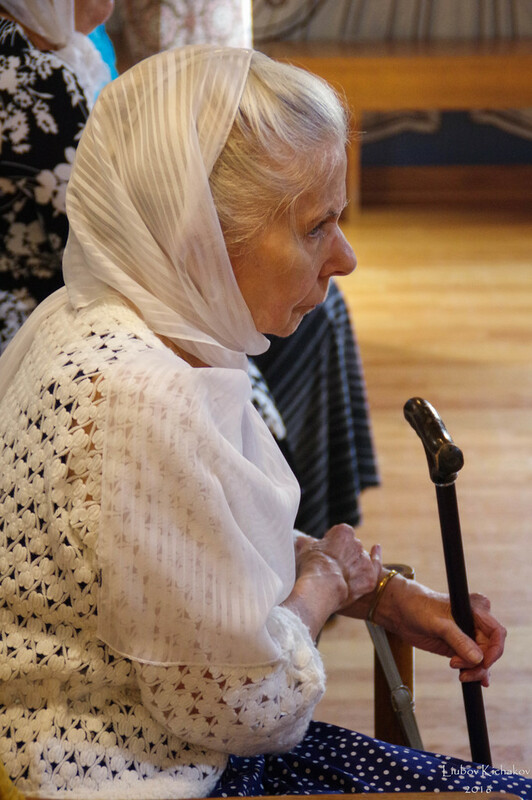 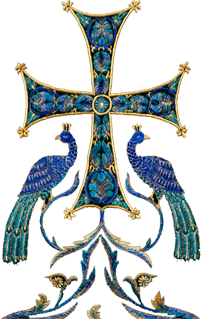 We ask the prayers of all the faithful for the spiritual and physical health of Archbishop Alypy.